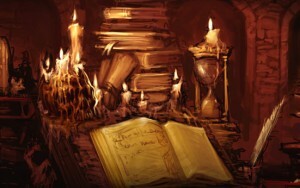 Loregy is a site dedicated to game lore, the storytelling within today’s video games. Cocles, Loregy’s primary contributor, is a professional screenwriter who has loved game lore since “The Legend of Zelda” for NES. Despite graduating with a film degree, Cocles credits his time game mastering table-top rpg’s with making him a better writer. How will WoW end? – Yes, this is a 2016 post! Darth Malgus – Will he return? Azeroth – Is it running out of zones?